Savour a buffet breakfast of international and local delights at La Piazza. 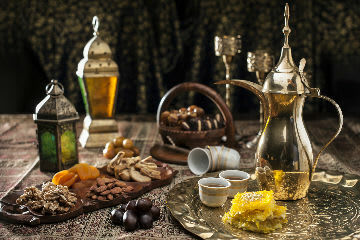 Indulge in fragrant Moroccan spices at Argan or tantalising Arabic mezze at Al Terrace. Explore international culinary wonders in a single exclusive offer, lingering on holiday even longer with late check out included on us. Take a food tour across Souq Waqif, by trying different dining concepts across our properties, all convenient golf cart transfer.